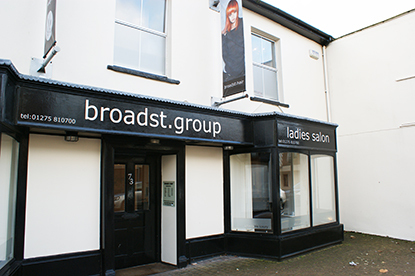 Our Nailsea salon is our 4th salon, opening in 2003. This salon is run by Emma. Emma joined as a trainee in 2004 and has progressed to salon manager. Emma expects high standards from her team in both hair & service and this is reflected in the experience given to all guest who come to this salon. I had a cut and colour with daisy in your nailsea branch, just wanted to say she was absolutely brilliant and would highly recommend her! As usual a friendly welcome making you feel valued. Arrive feeling ancient, go out feeling rejuvenated! Long session, made bearable by lovely competent friendly staff. Fab customer service as soon as I walked through the door by offering me a cup of tea. Loved being able to book online and seeing what times were available. Thanks to Ellie for my wash and cut! I have the lovely Verity cut and colour my hair and she is so wonderful! Totally knows what I'm after and really feel like I'm in great hands. The staff were friendly and accommodating. They were attentive and paid attention to detail. Very happy with my cut and fringe. Highly recommend. Very pleasant experience. As a senior citizen on a pension I was delighted at the price of my haircut. This is very important to me. Really lovely staff and am very happy with my hair. Emma did a lovely cut for me, have received lots of compliment's and it is so much easier to style in hot weather and after swimming. I wasn't at the hairdressers when my daughter's hair was done, as my partner took her, but he said you did a brilliant job, you were really patient, even with all the knots! & you spoke to Alice about how to keep her hair knot free! Thankyou for your patience too! It's not the easiest hair to do at all! Lisa worked on my hair and she was friendly, helpful and listen to my ideas for my hair. Thank you! Just come from having a full head of colour done. Gorgeous and rich colour which suits me perfectly. Gemma really is great at offering advice for hair needs and colour options especially if you fancy something just a little bit different! Very Happy with cut Manager did a great job. Disappointed I had to go back home 18miles after my appointment at 1 was not suitable as young lady not up to the job yet and drive another 36miles there and back at 5pm to get it done. unknown client would be a good idea. I can’t say I wouldn’t appreciate some sort of discount/voucher for my 36miles extra worth of petrol. I organised my appointment online cos I knew I would be in the vicinity to save my petrol. I work in Nailsea so I could have reappointed earlier in day or whenever had I been advised beforehand. I was away on Saturday helping my Daughter move home and I wanted it done before I went back to work on Monday. Lovely cut and blow dry with Chloe. Great service. Will defo be back!